High Desert Free Foreclosure Lists & Free Repo Lists to property available and homes for sale in our high desert real estate market: Apple Valley, Victorville, Hesperia, Lucerne Valley, Oak Hills, Phelan and Spring Valley Lake. Top High Desert Real Estate Broker! Derek comes from humble beginnings. Raised in the Temecula area until the 8th grade when he lost his father. After the loss of his father, his family lost their home, cars, their small family business failed and they were left with nothing. Derek's mother moved them to the High Desert to live with family. Derek's mom then worked 40 hours a week at a laundromat and 40 hours a week at a local video store as she went on to work 80 hours a week for years to come. Derek was the new kid in High School, just lost his father, dirt poor and felt helpless watching his mother struggle to pay the bills. Derek started working right away and has never stopped. Out of these struggles, Derek's mental toughness was developed. Combined with a burning desire to help people and be the best he can be, Derek quickly became #1 in his office, #1 in the High Desert, #1 in Southernmost California and then #21 in the Nation! Derek personally sold 130+ properties last year and 900+ in the last 13 years! 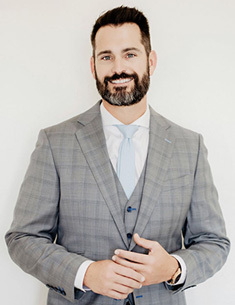 Derek has revolutionized the real estate industry with powerful systems and people that provide clients with an experience that has proven to be out of this world. Despite Derek being the most award-winning Realtor in the High Desert, he is most proud of helping people. Now, as a successful businessman and industry leader Derek has stayed true to his CORE values. Derek is first and foremost a family man, community contributor and a man that loves to serve people. Find out what your home or property is worth! Simply fill in the form below and I will send you detailed information about your home.